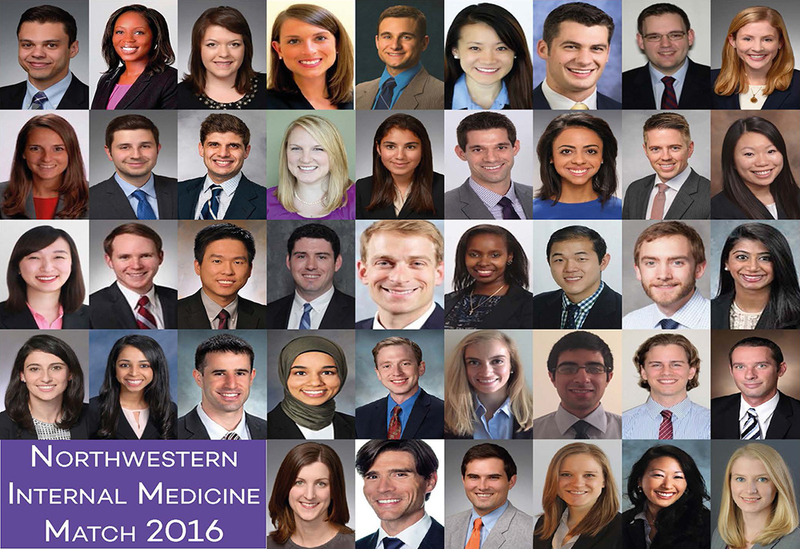 We are thrilled to announce our Match 2016 results and welcome the Internal Medicine Residency Class of 2019! View the 2016 Match Slideshow and learn more about the class of 2019. Douglas Vaughan, Aarati Didwania, Dave Neely, Warren Wallace, and the 2015-2016 CMRs: Bruce Henschen, Erin Unger, Julie Friedman, and Natasha Nichols. DOM Team Education: Maija Nikurs, Kim Dow, Socorro Esparza, Anna-Kate Trubilowicz, and Judy Poremba. Every single member of the Divisions of Allergy/Immunology and Pulmonary/Critical Care Medicine participated in recruitment. Pretty close to 100%: Endocrinology, Gastroenterology/Hepatology, Nephrology, and Infectious Diseases.